On a wharf in Provincetown, Massachusetts, where Greenwich Village bohemians gathered in the summer of 1916, Susan Glaspell was inspired by the sensational murder trial she had covered as a young reporter to write Trifles, a play about two women who discover and hide a Midwestern farm wife’s motive for murdering her abusive husband. Following successful productions of the play, Glaspell—already a well received fiction writer—became the mother of American drama. Her short story version of Trifles, “A Jury of Her Peers,” reached an unprecedented one million readers in 1917. 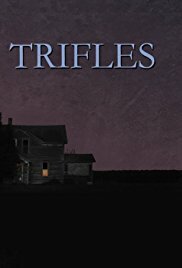 The play and the story have since been anthologized and taught in classrooms across America and Trifles is regularly revived on stages around the world. 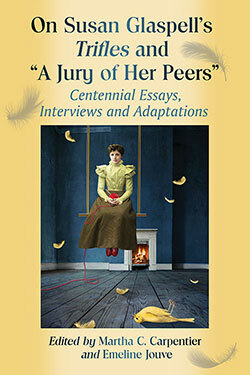 This collection of fresh essays celebrates the centennial of Trifles and “A Jury of Her Peers,” with departures from established Glaspell scholarship. Interviews with theater practitioners are included along with two original creative works inspired by Glaspell’s iconic writings. Pamela Gaye Walker is an actress, director and writer, known for The Incredibles, Shakti’s Retreat and Trifles.